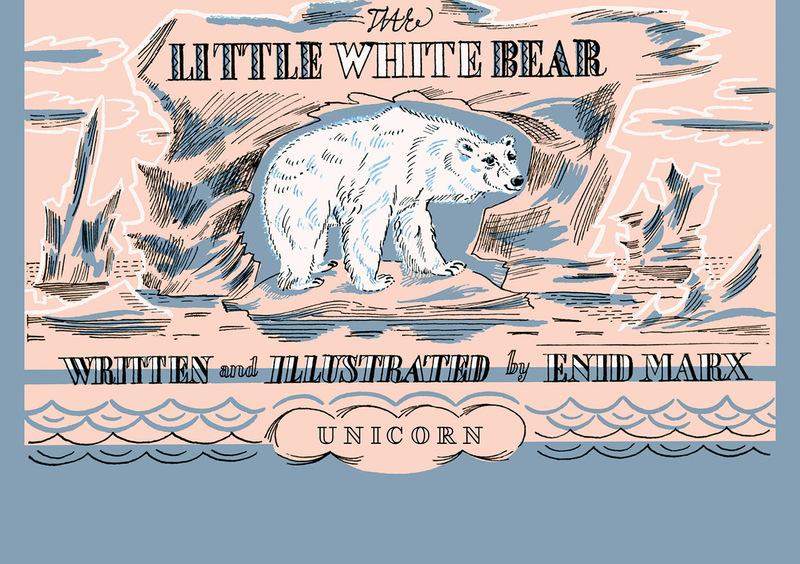 Originally published in 1945, The Little White Bear tells the irresistibly charming story of Ivan, the friendly polar bear, and his adventures in the snow—and beyond. After accidentally jumping into a boat of stranded wartime sailors, Ivan makes some very unlikely friends, ultimately becoming the soldiers’ lucky charm as they search the horizon in hope of rescue. Along the way, he sneaks into an igloo, rescues one of the soldiers from a whale, and helps the men hunt for seals and fish—all of which culminates in a Christmas party and eventual rescue. Beautifully illustrated by artist and designer Enid Marx, this book is sure to entertain and amuse children and parents alike.